Please read the first part of this blog post located here for the first part of this post. After arriving here in Alexandria, I made it out to a few of the Drupal DC events and look forward to attending more events in the future and getting to know this community better. Back in New York, I was one of the old guard Drupal NYC organizers, a wonderful community that is full of some of the most amazingly diverse technologists. I am happy to call many of them friends, and whenever I am back in NY I try to attend whatever event is running. Long ago I helped start the Drupal Happy Hour with Roger Lopez and eventually stepped up when my friend John Zavocki asked me to help him co-host Drupal Playdays. These were some of the most satisfying events I have ever been a part and they both served different purposes and to support the attendees. Drupal Happy Hours were all about providing attendees a way to get to know the community in a social environment and likely meet their next employer, the tagline was bring your face and not your laptop. The Drupal Playdays were about providing attendees a safe place to come and work on their projects, and think of it being like a break / fix event where people ask for and provide others assistance. What was amazing about the Drupal Playdays is that communitiy members were learning, teaching and gaining valuable skills, since it’s inception I would say that it has helped more people get the skills to get jobs than any other single Drupal event in NYC. As you can see I have a huge amount of affection for the DrupalNYC community. I have always secretly been a Ruby fanboy and when in NYC I would attend the two competing Ruby meetups NYC.rb and NYC Ruby Roundtable. I feel like local Ruby meetups are a great way to get exposed to all kinds of new technologies, I have been saying for years that Rubyist’s are into ALL the new technologies. To that end I think I learned more about Node.js at Ruby meetups they I learned about Ruby back in 2010. I have made it out to a few of the Ruby meetups here in the DC Metro area DCRUG and the Arlington Ruby Meetup and found the attendee to be amazingly welcoming and smart group of people. I can’t wait to attend the Ruby Retrocession a one day, unconference hosted in Arlington, VA this Saturday March 5, 2016. When I landed here in the DC Metro area I was exposed to a new type of event that sounded really familiar, they are known as Code and Coffee. There are is a long running event Code and Coffee NOVA hosted over at CustomInk’s offices in Fairfax VA, and there was a defunct event in Alexandria that I am now co-hosting Alexandria Code and Coffee. I wrote a blog post over on the Phase2 blog, this event reminds me a lot of the Drupal Playday but it is technology agnostic. 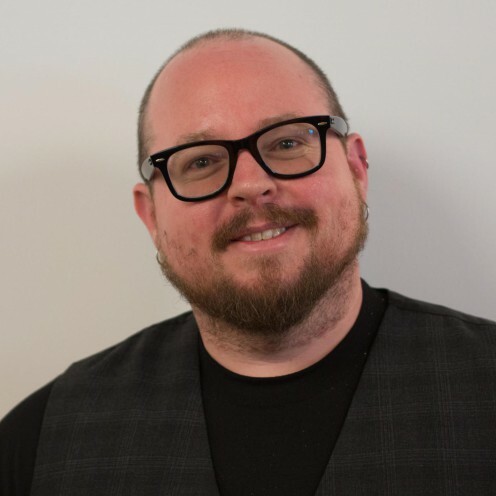 Lots of interesting people working in a huge variety of technologies, and what has been super nice is having the support of the organizer of the NOVA Code and Coffee Nathan Hessler by attending the first two events and lending his voice and support to the events. Thanks for reading my longwinded gushing diatribe about the open source communities that I have found myself being a part of, and even starting to call my new tech families. I am thankful to all the members of all the technology events that have welcomed me since I moved here. Please join me at any of these events or join us at DCTech Slack, there is an amazingly vibrant online community, I look forward to getting to know you and returning the favor of welcoming you into the DCTech communities.